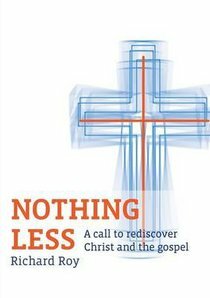 The purpose of this book is simply to engender deeper reflection about our call to focus upon the pre-eminence of Christ, his purpose, his redemptive work and its application in our lives and churches. My prayer is that through the pages of this study, readers will become more aware of the absolute uniqueness of Christ in our Christian faith and will commit with a passion to avoid even the slightest deviation of focus. And where we may have deviated, that we will seek by God's grace in Christ to return to the fervour of St Paul who said he wanted nothing less than Jesus Christ and him crucified to be known among his churches (1 Cor 2: 2). Moreover, Paul did not wish to glory in anything save the cross of the Lord Jesus Christ (Gal 6: 14). Richard is a former principal of Tabor College, Perth, Western Australia, and is presently a pastor at Mt Pleasant Baptist Church in the same city. He has his PhD from Edith Cowan University and M.Min from Melbourne College of Divinity.